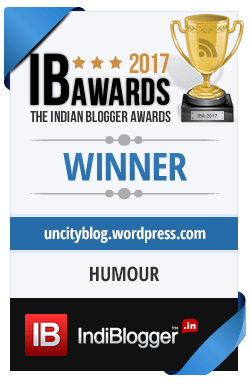 Moving to Kumaon? Is your bladder big enough? For anyone thinking of moving to Kumaon, here’s a checklist. If you think this list is strange, read on. No, not your gall bladder. The other one. You see Kumaon is water deficient. And flush tanks are the biggest enemies of water. The summer months are a severe struggle unless you are one of the lucky few with a natural spring on your land. And even those can dry up in the summer. During those days (such as right now) we often pee collectively as a family. That way we flush just once and conserve water. All our pretty flowering plants are a write off – watering plants is a luxury. Lets not even discuss bathing. If you want to be in the mountains, and not have water problems, choose Kangra Valley in Himachal. It offers everything Kumaon does + water. 2. Don’t be laptop dependent. The power here can fail often. Mostly for a few hours but it can also stretch to days. The last time we had a long outage, my inverter also packed up. I called the inverter company, and they said they cannot send someone such a long way. So I lugged my inverter to Haldwani (a mere 3 hour drive) to have it fixed. When it was done I brought it back & plugged it in again. One month later – exactly when the repair warranty ended, we had a power surge. It blew the inverter again, along with the power adapter for both our laptops, and myriad other electrical gadgets. The first draft of this post was written on paper. 3. Be your own Garbageperson. Getting rid of your garbage is your problem. The more aware residents separate their trash. The organic waste is composted or fed to cows / hens. The non-perishable and recyclable stuff has to be taken down to the recycling centre in Haldwani (which nobody is sure actually works). Many people just burn everything. Those of us with an ecological bone try and dispose of their trash responsibly. The last time I drove to Delhi my car was loaded with full trashbags. I heard another fun story about when the local city migrants had tried to hire someone with a pickup truck to collect all the trash and deliver it to Haldwani. After some weeks they realized that he would take the trash and simply chuck it all down the hillside a few miles away. Right now the very gallant Vikram Maira of Sitla Estate is offering free trash delivery to the recycling plant in Haldwani for all residents who dump it in a pre-appointed spot. We all love that he is doing it, but the fact remains that we are responsible for our own garbage – as we should be. Don’t expect to outsource that. 4. Start thinking about Caste. Caste is something I have never thought about. When I talk to a person I am never curious about what caste they are, and I dont care. Same for religion. To me they are humans, and that’s that. But here, in the village, our medieval caste system is alive and well. I don’t practice it, but I cannot be unaware of it. Over three years I have developed a certain sensitivity to it. For example, when we moved into our house, we held a puja for the benefit of the villagers. We were told that some of our staff should not be in the kitchen, as otherwise many of the guests will not eat the prasad. Since the puje was for the benefit of the villagers, we complied. But now we continue to have some people work on our land, and they still refuse to drink tea made by one of our staff members. Consequently, they often go without tea. The same crap about women having their periods not entering the kitchen etc. continues to be widely practiced. You get the idea. The city is all about instant gratification. Dominos will deliver in 30 minutes or its free. Why wait in line? Book your tickets online. And Swiggy and Amazon are all about delivering faster and faster. The village is the exact opposite. Hardly anything is available instantly. The only things readily available are what is available at Kapil’s store, our neighborhood Walmart. God bless Kapil. You don’t get it. Let me give you an example. Lets say it is peak summer and you want to eat good Mangoes. Here is how the process goes. Q1 : Is it available at Kapil store? No. Then Q2: Is it available in Nathuakhan (6 km) or Bhatelia (15 km)? Possibly, but cant say for sure. Quality and freshness will be big questions. Call someone in Bhatelia. They say that Mangoes are available but they look dehydrated and undernourished. They may get better after dipping in ORS overnight. Not good. Then Q3: Will good mangoes be available in Bhowali / Haldwani? Yes. So then you ask around to find out if anyone is going there, and ask them to get a few kilos. If not, then you plan a day trip to the Mandi (3 hours one way) and buy Mangoes for the next 2 weeks. This process applies to everything you may want. Except for many things that are not available in Haldwani, you may have to go further – to Delhi. So be ready to build some character. Delay gratification. Turning a golf course into a forest. Good idea?